Periodontal disease, also known as gum disease, is caused when bacteria in plaque (a sticky, colorless film that forms in the mouth) builds up between the gums and teeth. 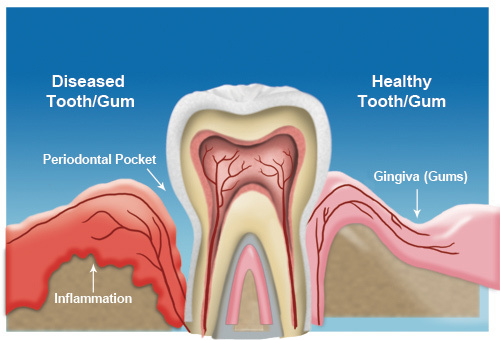 When the bacteria begin to grow, the gums surrounding the tooth can become inflamed and bleed. 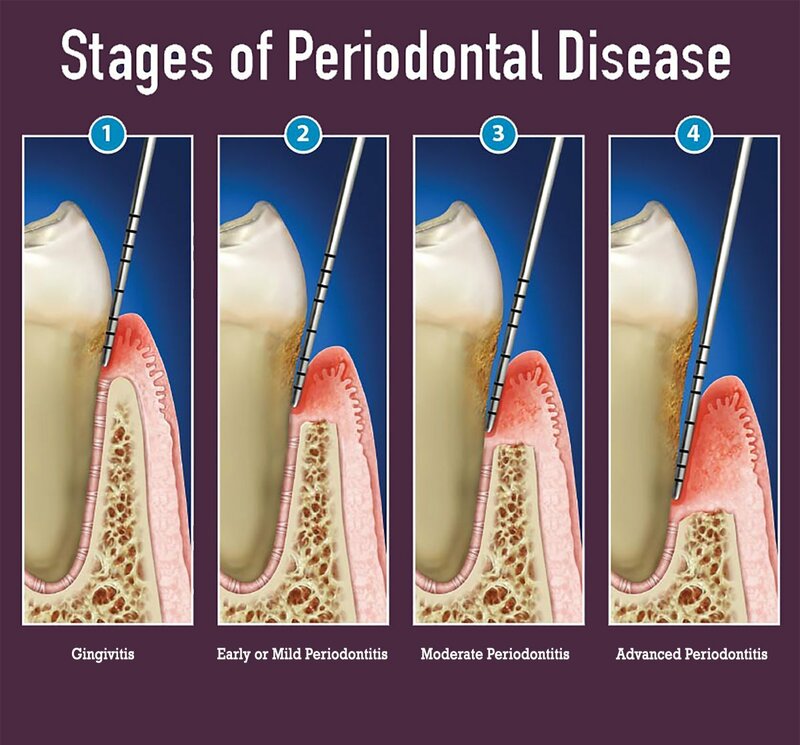 The four stages of gum disease — from least to most severe — are gingivitis, mild periodontitis, moderate periodontitis, and advanced periodontitis. According to the American Heart Association, gum disease is linked to heart disease, diabetes, and pancreatic cancer. Floss. Flossing at least once a day helps remove food particles and plaque between teeth, along the gum line, and behind the last tooth that your toothbrush can’t quite reach. Swish with mouthwash. Using a mouthwash can help reduce plaque and can remove remaining food particles that brushing and flossing missed. avoid alcohol-based mouthwash. Visit dentist regularly. A dentist will be able to recognize the early stages of gum disease and start treatment as needed.